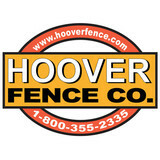 Hoover Fence has been in the fence installation business and a supplier of fence and fence related products for nearly 40 years. We provide products to contractors, retailers, and home owners throughout the United States. We provide high quality materials at a fair price. With excellent customer service and a knowledgeable sales staff we strive to make your fence buying experience a great one. Serving Northeast Ohio for over 28 years. 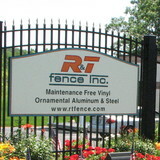 R&T Fence Company Inc. is a family business with Award Winning products and customer service. We sell and install ornamental aluminum fencing, decorative wrought iron fences, custom wood fencing, chain link fence, decorative vinyl fencing, pool fencing. Balcony Railing, Porch Railing and Decorative Gates. The Elyria Fence Co. has been custom building fences, lattice, pergolas, trellises, arbors, railings and decks year-around in Northern Ohio since 1932. All of our fence designs, pergola designs, trellis designs, along with all of our other products are one of a kind originals! Each design is hand crafted, and we use only top quality materials. Our installers take pride in every job we install. They are skilled professionals with years of experience with our company. We are specialists in both residential and commercial work. We offer over 150 different wood fence designs and pergola designs constructed of handcrafted White Cedar wood. If wood isn't what you are interested in, we also offer ornamental iron and aluminum fence and railing, chain link fence and polyvinyl fence and railing. We feel confident that there will be a style to match your needs and compliment your home and yard. Wiler Fence Company is the better option in Ohio for residential, commercial and industrial fence systems. We offer a professional and family like atmosphere to our customers that is unrivaled. Wont’ you give us a call today? We sure would love to help you with your new fence! Home Building from the firm foundation of 38 years of experience, family-owned and -operated Sterling Fence & Building has become Cleveland’s top choice for professional fence installation and repair. Residential and commercial customers can turn to Sterling Fence & Building for the best chain-link, wood, vinyl and ornamental fences, and take advantage of our professional installation services or do it themselves! Sterling Fence & Building has been in business since 1965. We take pride in our customer satisfaction, and that is why there is never any job too big or too small. We serve residential as well as commercial needs. We also maintain a high volume of insurance (repair) installation. 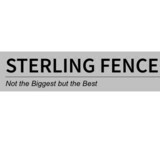 If you are looking for the most efficient, affordable and reliable fence company in Ohio, it has to be Sterling Fence & Building. For more than 50 years, handsome, rugged, custom cedar fences from the quality cedar fence experts at Acme Fence have been beautifying and protecting homes and businesses all across Northeast Ohio. We're a family-owned, Ohio company, and since 1939 we've devoted ourselves to providing our customers with top of the line custom fence quality at popular prices. Every Acme fence is custom-installed by our own highly trained, experienced, professional team. We stand behind each fence with a full, written guarantee. Fence Enterprises Inc., Akron, Ohio’s premier fence contractor, carries only the best quality of fencing. 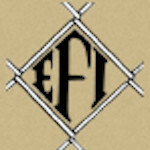 For more than twenty years Fence Enterprises has been constructing quality fences in and around Ohio. Our commitment to quality is second to none. From an initial consultation to the completed installation our professionalism is displayed. Our mission statement is “We are here to serve“. We use only the finest materials from companies you know like, Bufftech, Richard’s, Delgard, Jerith and more. AmericanOne Fence & Railing is a Northeast Ohio Manufacturer and Distributor supplying Trade Professionals with MAINTENANCE-FREE Fence, Railing, and Deck materials. Our products are made of the finest materials and are engineered to provide a lifetime of service with virtually no maintenance; and we ONLY sell to TRADE PROFESSIONALS. If you’ve ever owned a wooden deck or fence, you know how much time and money is spent on maintenance. In the beginning, wood does cost less than vinyl or aluminum, but it ends up costing much more over time. In keeping with our mission to provide the BEST and MOST INNOVATIVE products in MAINTENANCE-FREE fencing, decking and railing. We sell and specialize in Aluminum and Vinyl products. We test all of our products in-house before we sell them to our customers to make sure they achieve our HIGH STANDARDS of endurance and strength. We also are always striving to create and invent products that fulfill a need in the Fence Industry, such as our patent pending Puppy Guard add-on panel that is exclusively sold by AmericanOne Fence & Railing. Our knowledgeable staff has over 40 years in the Fence Industry each. We want YOU to look good to YOUR customers! Let us show you how to create “STYLE and SECURITY with a VIEW” for every one of your customers! We’re Invisible Fence of Northeast Ohio. And we’re glad you’re here. Our branch is an authorized, full-service dealership of genuine Invisible Fence Brand products and services. Since 1984, we’ve remained committed to improving the way Ashtabula, Cuyahoga, Geauga, Lake, Portage, Summit pet owners live with their four-legged family members. With more than 15,000 satisfied human customers in the Ashtabula, Cuyahoga, Geauga, Lake, Portage, Summit area, as well as the endorsement of neighborhood veterinarians, we’re passionate about working hard—so you can enjoy your pet more, and worry about them less. From system installation to our exclusive Perfect Start™ Plus training and beyond, Invisible Fence of Northeast Ohio is always here for you and your pet. That’s our promise to you both. Certainteed Bufftech vinyl fence has the largest selection of vinyl fencing and accessories. The wide variety of styles and selections, from privacy to traditional, white or the custom blends and industry-leading textures, are available in the Bufftech Vinyl Fence. We offer the best quality products at the lowest prices. Distributed by Discount Fence Supply, Inc. Deer fencing is the most proven and reliable method of excluding unwanted deer and other plant harming animals from damaging your plants. The long term cost effectiveness of our deer & garden fencing systems is unmatched by any other method. Customer satisfaction, from the first on-site planning visit to checking up on your fencing system years from installation, is our only priority. Veranda® products built by Barrette are manufactured exclusively for The Home Depot. Barrette provides homeowners with solutions for fencing, railing and lattice products in a wide variety of materials, styles and colors to complement any home style or neighborhood look. All Veranda products built by Barrette are made in the USA and designed to offer superior durability and performance with many low maintenance benefits engineered into each product. Veranda products built by Barrette also offer industry-leading Transferable Limited Lifetime Warranty. Boerboel gate hardware products are strong and dependable. Whether you require security, safety or convenience, Boerboel’s innovative hinges, latches, drop rods and other gate accessories are the perfect complement to any gate, offering industry-leading features that serve as your eyes in the yard – and adjust to your unique needs. We have provided homes in north central Ohio with heating alternatives for 39 years. We deal with industry leading technology and all of the best brands. Call today! Your Parma Heights, OH fence installation and repair professional will work with you to create your ideal fence. Find a fence contractor in Parma Heights, OH on Houzz. 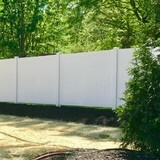 Narrow your search in the Professionals section of the website to Parma Heights, OH fence contractors. You can also look through Parma Heights, OH photos to find examples of fencing and gates that you like, then contact the professional who worked on them.